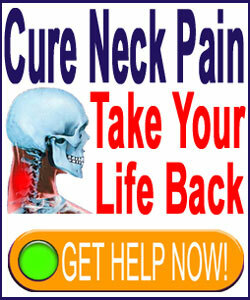 Stress neck pain is a general term which means different things to different people. To most doctors and patients alike, the idea of stress means conscious and recognized forces which act on the mind and body, usually with negative connotations. Stress may provoke the following emotions: worry, anger, pressure, anxiety, fear and many others. Doctors have come to recognize that even conscious stresses have wide-ranging and horrible effects on the individual and can even be some of the most prevalent sources of serious health issues, such as heart disease, cancer, high blood pressure and more. Now, for students and professionals within the mindbody arena, the idea of stress takes on a whole new world of possibilities. Research clearly shows that conscious stress is the least damaging physically and mentally. Far worse are the ideas of subconscious and unconscious stresses, which may be hidden, suppressed or repressed. These may be the direct causes of a vast number of conditions known as psychosomatic pain syndromes or psychologically induced pain syndromes. This crucial dialog centers on the effects of stress and how neck pain might be worsened, perpetuated or even wholly created by psychoemotional factors. Conscious stress makes us feel tight and tense emotionally. It is no surprise that these emotions translate directly into the anatomy and we feel these things expressed in the body. 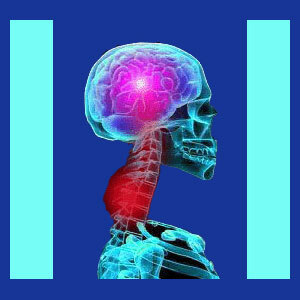 In the neck anatomy, the most often affected structures are the neck muscles, with the trapezius being one of the main culprits. Stressed-out people can sense the tension in their necks, in their traps and feel their shoulders rising in emotional anticipation. It is not a comfortable feeling by any means. I am sure you can recognize the symptoms of conscious stress in many other areas of your body, as well. Conscious stress will increase heart rate and raise blood pressure. This is a fact. Conscious stress can cause extreme fatigue when it lasts for long periods of time and can also play havoc with the digestive system and ability to sleep. Stressed people must fight just to maintain any semblance of normality, since their bodies are so preoccupied with the various demands of these emotions that they virtually have no capacity to do anything else at all. The effects of stresses which are not conscious are far worse than those which are known. The conscious mind is an invention of the true self. It is not real. Therefore, stresses which exist there are viewed as far less threatening to the true self. The real you exists far below the level of consciousness and when the stresses coexist on this deep plane of existence, the effects produced can be catastrophic. This idea is the basis of all the work done in the field of mindbody medicine. Noted practitioners like John Sarno, Andrew Weil and Deepak Chopra, among dozens of others, have discovered just how damaging repressed and unconscious stresses can truly be. This process is the singular source of all serious TMS pain syndromes and has been theorized to be a direct cause and contributor to such horrible health conditions as cancer, many autoimmune diseases and heart disease. The worst thing about stress due to subconscious or unconscious issues is that the person does not know the problem exists. There are usually no outward indications of repressed or internalized anger, fear, anxiety or rage, but these frightening and symptom-producing emotions are there at the most primal level, in the true self. This is why they are so dangerous and why medical treatments do nothing to resolve the conditions they produce. Without addressing the underlying emotional condition, physical treatments will never cure the problems, but instead, will only treat the symptoms. This is like bailing out a sinking boat using a thimble, instead of patching the large hole in the hull. Never discount the power of the mind to cause, contribute, worsen and perpetuate symptoms in the body: Anywhere in the body. The neck has long be heralded as an emotional barometer and this holds true for those whose psychogenic symptoms hit them in the cervical spinal region. Remember all those old sayings about carrying the weight of the world on your shoulders or around your neck? Well, now you understand why emotional stress causes pain. To learn more on this fascinating topic, research tension myoneural syndrome, psychological back pain and the various experts in those fields. I write about these topics in great detail on the original cure-back-pain.org website, as well, and these many articles will provide you with lots of further topics to look into on your own. You can use the site search in the right hand column to find all these articles on The Cure Back Pain Network sites. The effects of various stresses are also discussed in the most painstaking detail in our best-selling and super-effective self-help program.